Looking into what types of oils your restaurant is using can help keep your trans fat and saturated fats down. Consumers are starting to see more menu labeling in their favorite restaurants. The first thing your customers will be looking at is the calories, next… fat. These two go hand-in-hand. High fat content will equal high calories. It’s also important to consider trans fat and saturated fat. But what else can you do with the actual oils you are using? Restaurants can makes a few different types of oil to reduce the amount of trans fat and saturated fat (bad fats), while increasing monounsaturated fats (good fats). Palm and coconut oil are great substitutes to make any menu item healthier. Although these two contain saturated fat, it is plant-derived. That means that the body does not process them the same way and does not increase bad cholesterol levels. So these are ideal for substituting for shortening. Soybean oil has made some big improvements in the last few years. Soybeans are the premier cooking oils and fats in the U.S. Because this growers have produced high-oleic forms which are very low in saturated fat. If you buy soybean oil in your restaurant, be sure to look for high-oleic. 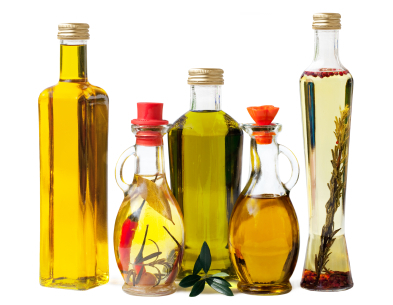 Canola oil has the least amount of saturated for popular cooking oils (half that of olive oil!). In addition, it has a high smoke point (468F). This makes it ideal for restaurants who do some intense cooking. Canola oil is also available in high stability forms for frying. These have a high smoke point and their shelf life and fry life are longer than normal canola oil. Use this oil for all of your restaurant’s frying needs. You will end up going through less oil, while keeping your saturated fat to a minimum.